Deborah Brown is known in Bushwick for many reasons. Not only she is an accomplished artist, a Community Board 4 member, and a huge supporter of many community causes, she has co-founded one of (and later ran on her own) Bushwick's premier art spaces, Storefront Bushwick. Recently she expanded Storefront Bushwick from the original space on 16 Wilson Ave to an epic, vast gallery spot on 324 Ten Eyck street, naming it Storefront Ten Eyck. Brown's own industrial-inspired paintings comfortably complement the surrounding warehouses in a way that's almost too good to be true. You gotta hand it to this woman - she's done a lot. You go, girl! 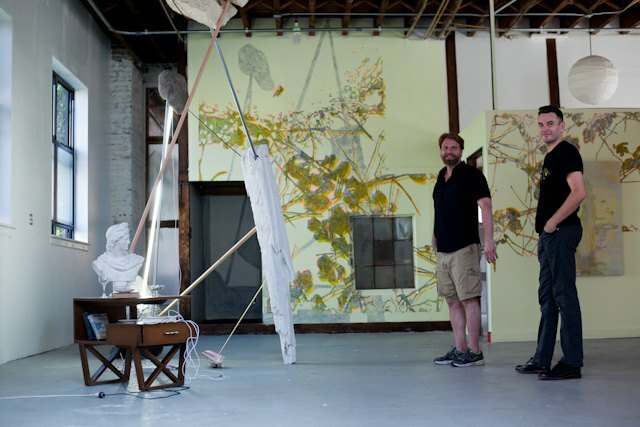 Between the space and Brown's talent, there's much to see at Storefront Ten Eyck, particularly during Bushwick Open Studios. Brown invited curators Erik Benson and Frank Webster to create a group art show called "Epic Fail," whose thesis was to put visual context to urban decay, industrial failures, and all that stuff Jane Jacobs' writing has been prompting us to chat about for years. Conversations about inner-city structure failures, be they visual or verbal, are really important, especially in the aftermath of a tragic event such as hurricane Sandy. "Epic Fail" contributes to those discussions. Painting by Deborah Brown. Image via Arts in Bushwick. But beyond the work that's curated and exhibited in the space, Brown is able to showcase her own work in a solo-show which is quite appropriate given her subject matter of car-lots and industry, and the physical location of her new gallery. When asked about the inspiration behind her work she told us: "There's a lot of trash out here, like scrap metal. You know, things that end up as waste out in Bushwick, to be packaged and turned into whatever they're going to be next. And that's particularly true of the salvage yards where you see a lot of cars smushed and then stacked, and they make these really weird ziggurats and configurations, and so I started to paint those." 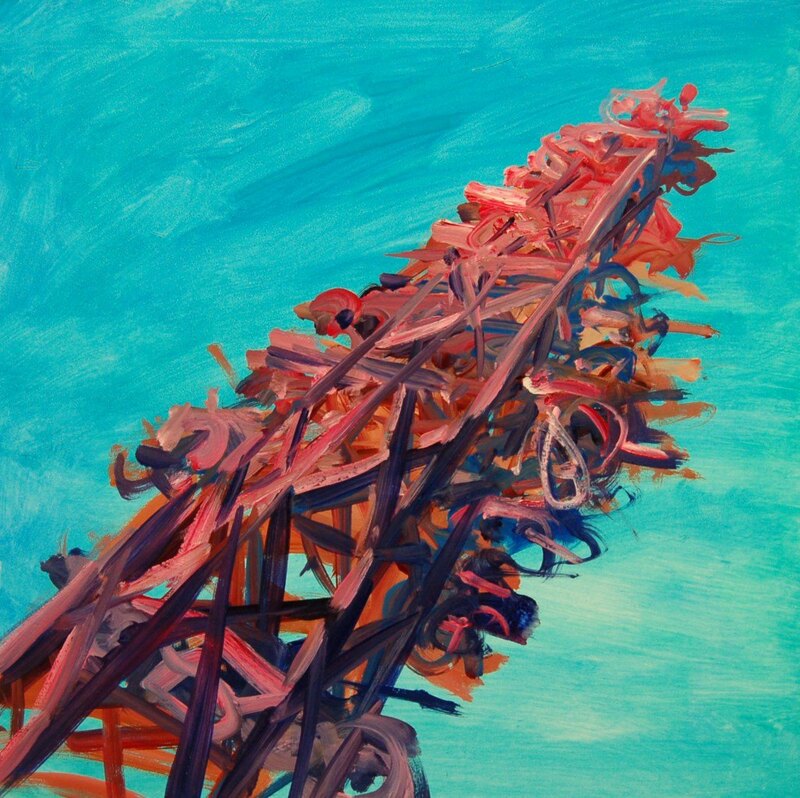 As a viewer, the coolest thing about Brown's paintings is that she doesn't explicitly depict her industrial subjects. Instead she alludes to how the metal and chaos appear through stylized gestures. 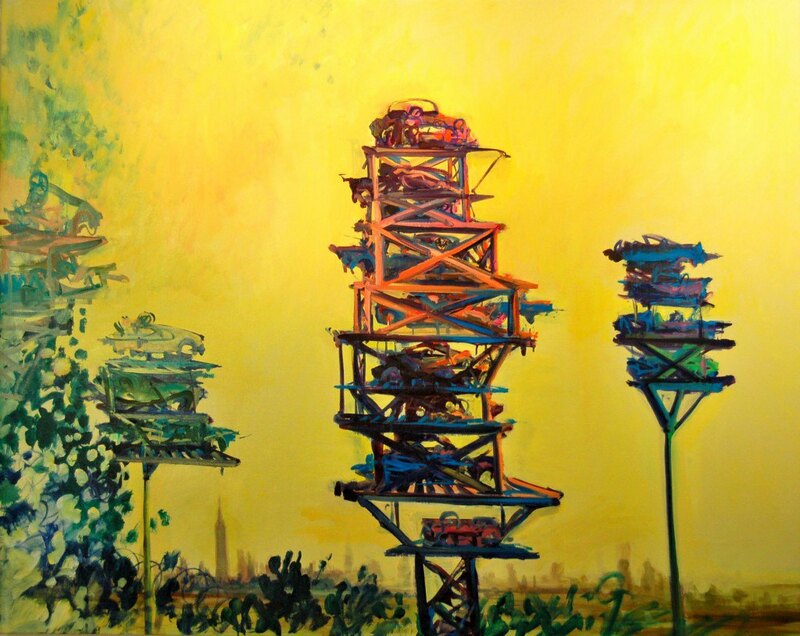 And there's no wonder she's mastered this - according to Brown she's been painting Bushwick's landscapes for nine years! After checking out Brown's work, we talked to her about what it was like being such an artistic force in the greater Bushwick area. Brown states that the whole arts scene has changed drastically in such a small amount of time, and has gone on to include other things like food, nightlife and general culture, which is amazing. "There's a lot of energy that really came from the initial efforts of not that many people, really, who were tireless in promoting the efforts of our peers, in gallery shows, pop-up shows, organizing ways to show people of Bushwick. We've really done a lot to, I think, help the community grow and now many people are involved, and it's just great."